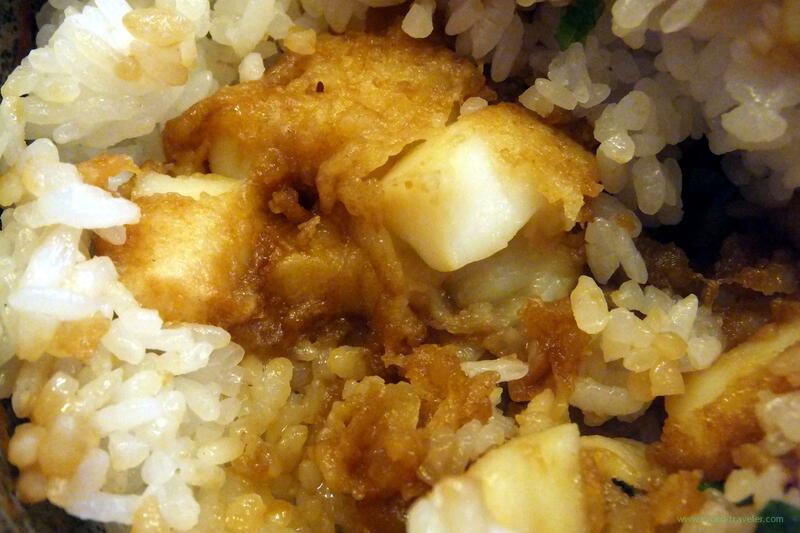 Funny rice bowl at lunchtime can be eaten at tempura restaurant. 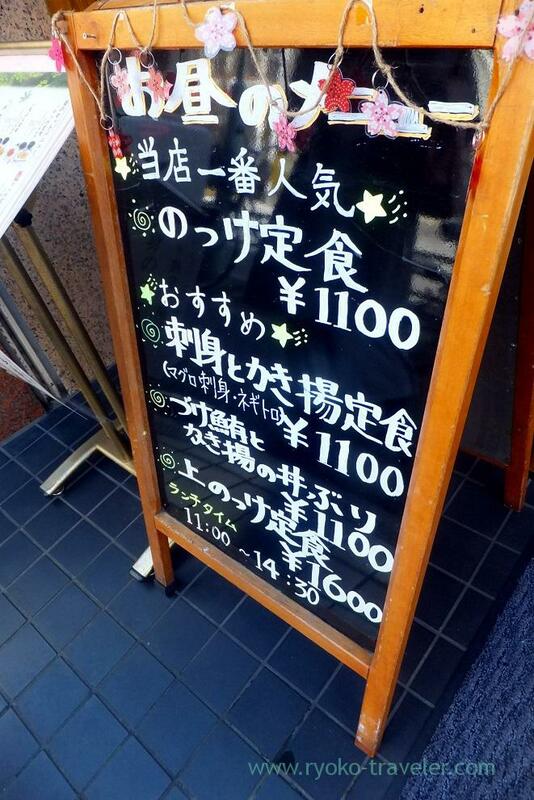 Now I’m exploring new lunch spot around Tsukiji and Kachidoki. Though there’re many restaurants that serve sashimi bowl at lunchtime, there’s a restaurant that serve attracting sashimi bowl in Kachidoki. 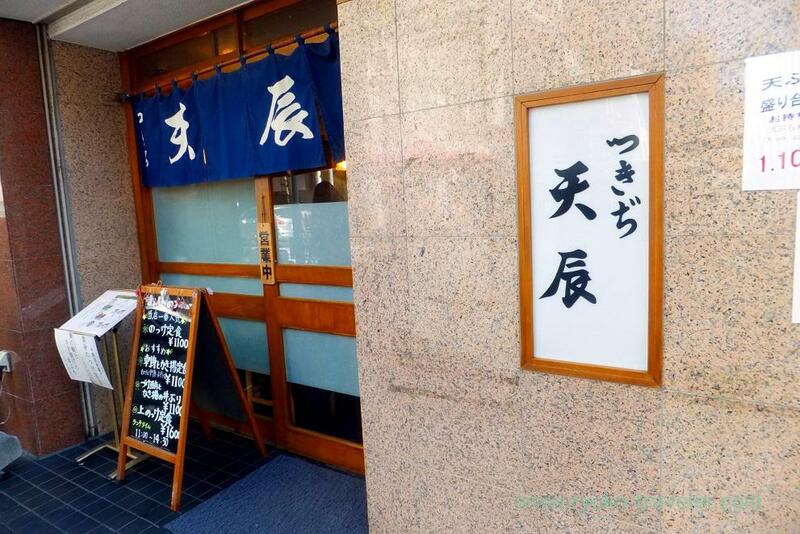 They’re tempura restaurant and also serve tempura mainly at lunchtime. You’d better avoid going there around noon because there’re many people gathering who work near there. I went to there past 1:30 p.m.
There’s a counter able surrounding the kitchen and some square tables. 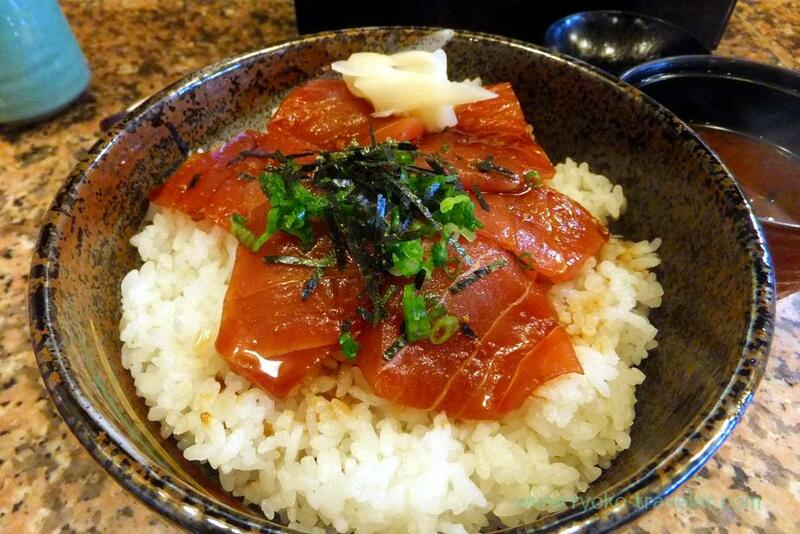 This is the sashimi bowl. Marinated tuna and kakiage bowl (づけ鮪とかき揚げの丼, 1100 yen). Umm. It looks normal tuna sashimi bowl. Those slices of marinated tuna was tasty, but it was warm because….